Belarus is a country in eastern Europe. Belarus has big town and cities. It has different cultures, historical and modern architecture. Thus the country is a diverse country and it is a very interesting place to explore. 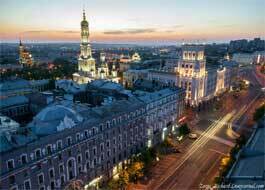 Minsk is the largest city and capital of Belarus. More than 6000 foreign students study at universities in Belarus every year and this number is increasing every year. Belarus education system is known for its academic excellence. Higher education institutes at Belarus offer a wide range of study programs for students, and also education in Belarus is high quality education. There are different fields of study in Belarus like medicine, science, management, business, arts, foreign languages etc. Thus, each and every student is guaranteed to get an admission at any one program in Belarus. Higher education institutes at Belarus are recognized globally and the courses offered by these institutes are of very high standard. Universities in Belarus, have the lowest tuition fees in the world and hence the students can easily afford the cost of education in Belarus. Also the cost of living in Belarus, is also relatively cheap than other European countries. Students prefer to take the courses through English medium. After completing education, students can settle and stay permanently in Europe. Students can get to know and study new languages like Belarusian and Russian while their stay in Belarus. Friendly and welcoming people and safe environment are the qualities of Belarus. Students can get very nice job opportunities once they complete their education. IELTS and TOEFL is not required for admission. 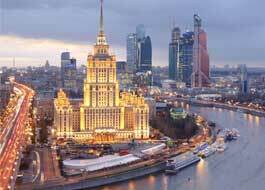 The chances of getting a visa by the student in Belarus are very high and their visa is not rejected generally. Below table will help you understand in brief about the top 4 courses that are popular among Indian & International students to study in Belarus. There are many medical universities at Belarus. Belarus medical courses are of standard quality, thus the medical universities at Belarus are among the best medical universities in the world. As explained above, Belarus has friendly environment, good weather conditions, standard of living, low tuition fees, quality of education and lots of other reasons behind why students prefer studying MBBS at Belarus. For the complete period of study, language of instructions is English. Medical degree from Belarus is recognized world wide. Medical degree from Belarus is eligible for license exams like MCI, PMDC, USMLE, PLAB, etc. Admission process at Belarus medical universities is very easy. Campus life at Belarus medical universities is very friendly and pleasant. In Belarus, there are many good hospitals where students can go for internship after completion of their course. The tuition fees at medical universities in Belarus are affordable. The life in Belarus is very secure for international students. Student must have scored good in his/her 12th exam. (at 10+2 level in science stream). He/she should have Physics -Chemistry-Biology at 10+2 level in Science stream and he/she must have scored minimum 55% in it. Students should reach Belarus by 25th September, if they want to pursue their MBBS in Belarus. English language proficiency is required for international students. The fees at the MBBS colleges in Belarus vary in the range of 2 lakh to 5 lakh per year, that is, in between 5,000 to 15,000$ per year. This includes cost of living also, such as, accommodation, transport, food, and other necessary things. This cost is very cheap and hence it is affordable for international students to study at Belarus. The students who complete the program focusing on business management are awarded a graduate degree which is known as Master of Business Administration or it is known as MBA. The degrees offered by management institutes in Belarus meets international standards. The language of instruction at most of the management institutes is English. The quality of education at the management universities of Belarus is excellent. These institutes practice an experience-based learning process. The faculties at the management institutes in Belarus are experienced and highly qualified. Management diplomas in Belarus would allow students to work as managers, marketers, business analysts and economists in Belarus and abroad also. Belarus is a country in the heart of the Europe and it has Russia, Poland, Ukraine, Latvia and Lithuania on its borders, so Belarus has business opportunities with all these countries including many other countries in the world. A student must have completed a bachelor’s degree or equivalent. A student must have GMAT, GRE or any other admission test’s score. Considerable work experience or international study experience. Management courses or MBA courses in Belarus are of the duration of 4 years. The tuition fees for the management courses or MBA courses are 3,500$ and accommodation charges are 500$. The other expenses such as medical, transport, registration fees etc. would cost about 1,550$. So, the total cost will be around 5,550$ per year. That is approximately 1,90,642/- Indian rupees. The fees for rest of the years will be $ 4,300 per year. This is approximately Rs.1,47,705/- Indian rupees. Economics is the base of world’s every country’s economy. In the 21st century world is in the need of talented economics graduates as the subject has become the backbone of world’s economy. There are different fields and subjects under Economics subject. Business Economics and World economics are the two categories of Economics. Macroeconomics and Microeconomics are the two types of studies in Economics. Why to Study Economics at Belarus? There are several advantages behind studying Economics. It not only builds careers of students but it is also important for the future of the country. Economics is taught in two languages in Belarus, Russian and English. The backbone of every country in the world is the subject Economics. Thus, in Belarus also in every country, the economics subject is taught. Belarus also offers variety of courses in Economics. The degrees in Economics provided in Belarus are bachelors, masters, M.Phil. and Ph.D.
To apply for a bachelor’s degree it is required that the student should have completed 12 years of education. He/she should have completed 17 or 18 years of age. To apply for a master’s degree (LLM) the student should have completed a bachelor’s degree in law (LLB) or equivalent. The duration for the Economics course at universities of Belarus is 4 years and the medium of instruction is English. The fees are $3,500, that is, Rs. 1,20,225. The rest of the cost including accommodation, transport, registration fee and other personal expenses goes up to $ 2000-$ 2500. Thus, the total expense for the first year is nearly $ 5500-6000. This is equal to Rs. 1,88,925 - Rs. 2,06,100. The fees and other expenses for rest of the years goes up to $ 4300 - 5000 per year. That is around Rs.1,47,705 - Rs.1,71,750. These fees are very much affordable for international students. The subject which is studied to protect the human rights in the world in different fields is a Law. The world stands on law in different ways. It is the most honourable profession in the world. There are many areas which can be covered under law like criminal laws, civil law, administrative law, business law, labour law, environmental law, entertainment law etc. Laws are different for each country and they are based on every country’s traditional and cultural environment and level of crimes or rights in different aspects of human life. Why Study Law in Belarus? The law education given in Belarus is of world standard as international law is taught in English language. The law degree taken from Belarus is recognized everywhere in the world. At Belarus, students can study any area of law education. International students can study law in English in Belarus and the students from Arab and Asian countries can study the course in Russian language. In that case, they first need to do a Russian language preparatory course at the first year and then they can join their international law degree program. There are two types of degrees, LLB & bachelors degree. Its duration is of 4 years and it is taught in English language for international students. After this degree, students become lawyer and can practice individually or with any firm. LLM at Belarus is of one year’s duration. It opens the doors of success for students in a broader manner. To apply for a bachelor’s degree it is required that the student should have completed 12 years of education. He/she must be 17 or 18 years of age. The duration for the law course at the universities of Belarus is 4 years and the medium of instruction is English. The tuition fees are $ 3,500, that is, Rs. 1,20,225. The rest of the cost including accommodation, transport, registration fee and other personal expenses goes up to $ 2000-$ 2500. Thus, the total expense for the first year is nearly $ 5500-6000. This is equal to Rs.1,88,925 - Rs.2,06,100. The fees and other expenses for rest of the years goes up to $ 4300 -5000 per year. That is around Rs.1,47,705 - Rs.1,71,750. Also the master’s course in law, LLM is of the duration 1.5 years and the course fees are $ 5770 for the first year, that is Rs.1,98,199 and $ 4,420 for the next year which is equal to Rs.1,51,827. These fees are very much affordable for international students and thus international students prefer to study in Belarus.